I’m delighted to announce the availability of the second edition of my first book! From the book description: “This treasure trove of tales, poems, and original art offers us hope and wonder. It stirs within us a renewed yearning for other times, other places, and other destinies. 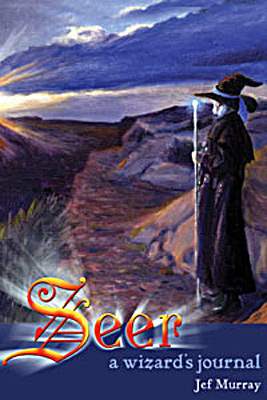 Magic rings, secret journals, and the enchantment of nature remind us of the sanctity of our world and invite us to rediscover our childhood dreams.” This title is available in bookstores and online retailers, but can also be purchased online now through OlorisPublishing.com. Tolkien is my favorite author so it is hard when other readers can get a chance to purchase a new book by their favorite author. Those of us who love Tolkien do not have that privilege. However here comes a book in the vein and style of the old master. It’s a book of short fiction and vignettes that all tie in with a theme of beauty, magic and seeing the life behind the modern world, seeing the magic and truth of things. Beautifully written stories and delightful. If anyone could follow in the footsteps of Tolkien in writing stories that tie in beautifully within the Arda universe it’s Murray. 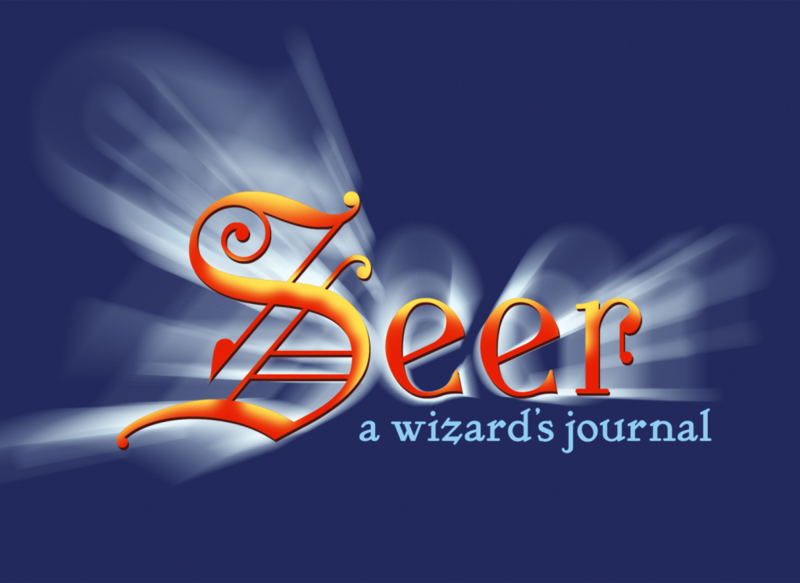 ‘Seer: A Wizard’s Journal’ by Jef Murray is a collection of enchanting short stories, which partly started life in Jef’s monthly newsletter to fans, included in a section called ‘Ponderings’. 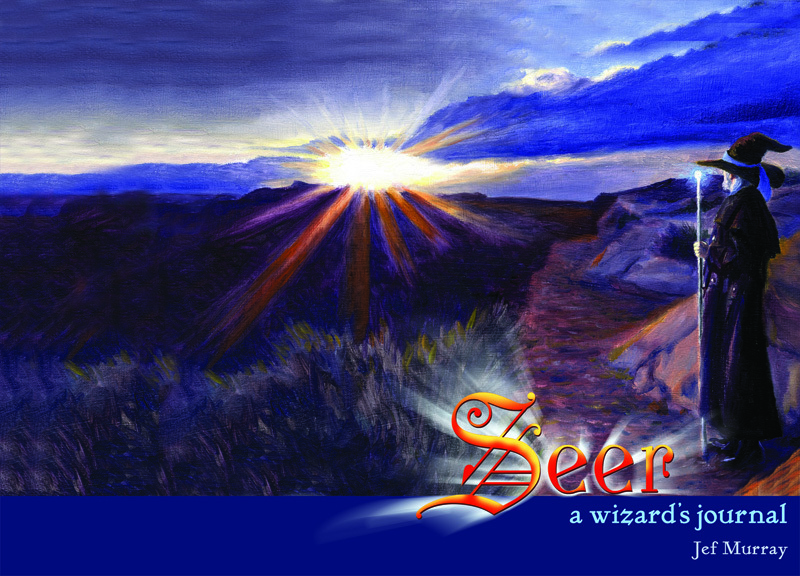 I have been an avid reader of these newsletters for some time and would encourage any fans of Middle-earth and Narnia to visit Jef’s Middle-earth Network website and sign up to his newsletter, as well as admire, as I have for years, his wonderful paintings and sketches, full of truth and beauty and light – did I mention that Jef is also an accomplished, celebrated and much-loved fantasy artist? So, when I learned that these magical stories were to be published together in a lovely little volume, I was delighted and couldn’t wait to re-read some favourites, not to mention discover some new gems. I wasn’t disappointed – this is an enthralling and captivating book. I love Jef’s welcoming style of writing, with his love of alliteration, so full of life and energy. The best compliment I can think to pay the author is that it felt like reading Paolo Coelho’s ‘The Alchemist’, so Coelho fans should likewise allow Murray to take them on this journey. I can’t recommend this book highly enough, especially for those who crave fantasy rooted in the deep magic of grace in our lives – and with Jef’s amazing illustrations adorning the pages throughout, this is an immensely enjoyable read for anyone needing a little joy in their day and a refreshing walk in the light.